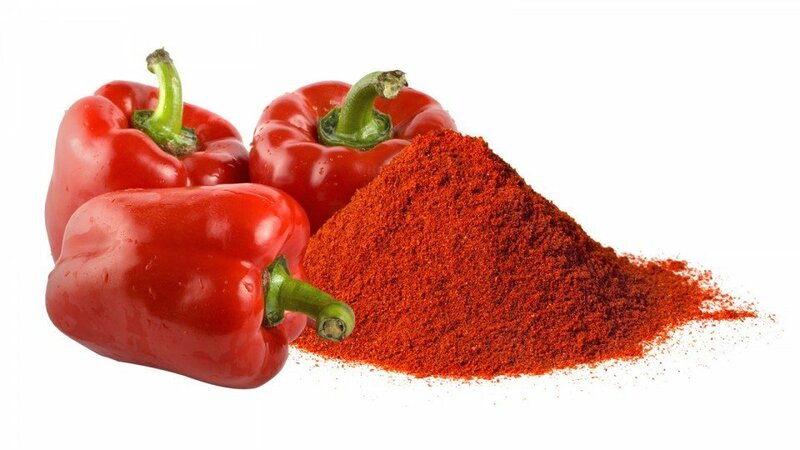 Paprika is obtained from sweet red peppers using a solvent extraction process to prepare an oleoresin. Paprika (E160(c)) is well recognised as a spice and it is a popular ingredient in many recipes. The extract principally contains two carotenoid pigments: capsanthin and capsorubin. Both pigments are oil soluble and provide a rich orange/red hue depending upon the concentration used. When used for colouring purposes, paprika extracts invariably contribute a spicy flavour character and they are generally more suited to either savoury or lightly coloured products. Although sensitive to oxidation, these pigments are stable to heat and are unaffected by changes of pH. Available in both liquid and powder forms, the FMC BioPolymer Paprika range consists of both oil-soluble and water-dispersible products. They are important ingredients used in soups, pickles, meat products, sauces, breadcrumbs and snack seasonings.